We had a little emergency the other night. but it got all my horns honking and sirens wailing. and it was very last-minute. Yes, like I said, not a matter of impending doom, but the timing was key. buy, bunch, bundle and bowtie in a short amount of time. There was lots of stress and frustration. I arrived at the docks with the vital floral arrangement, and I was all in a huff. so he had other things to think about). 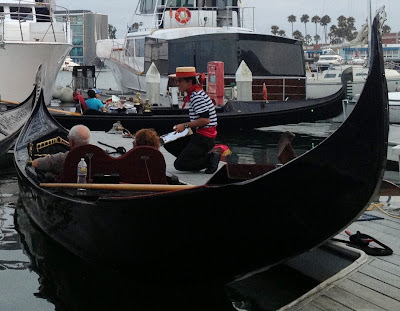 I handed the arrangement to the gondolier who needed it, and the job was done. so I went over to take a look. was the other side of things. I saw our "dining room". and the kitchen is chaotic. 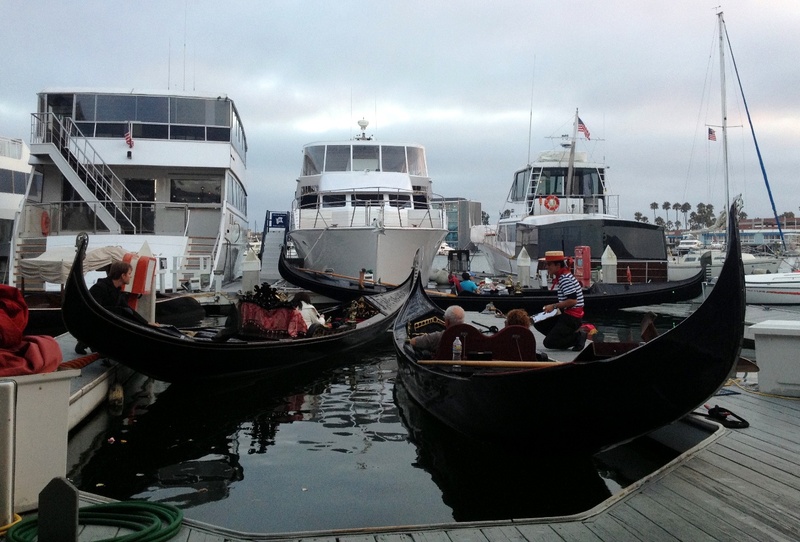 I stood there watching three beautiful gondolas, with happy, relaxed couples and gondoliers tending to their needs as they prepared to head out towards the setting sun. As I took in the serenity of it, I realized how very different things are between the dining room and the kitchen. Normally these details are arranged well ahead of time, and there are no emergency procedures required, but even then, when guys come in to do their thing, the gondolier's office is very much like one of those kitchens. We love what we do, and I'll take the kitchen-stress to be a waiter in such a grand dining room.